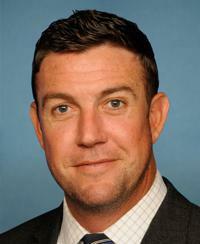 WASHINGTON – Rep. Duncan Hunter Jr. (R-Calif.) and his wife, Margaret, pleaded not guilty to 60 counts related to the misuse of campaign funds in a San Diego federal court Thursday, according to a ABC News 10 report. At the arraignment hearing the court set the congressman’s bail at $15,000 and set his wife’s bail at $10,000, the report said. The couple is ordered to return to court for a hearing on Sep. 4 at 9 a.m., according to the report. The 48-page indictment unsealed Tuesday alleges the couple converted more than $250,000 in campaign funds for personal use and filed false reports with the Federal Election Commission (FEC). The indictment alleges campaign funds were used for a family vacation to Italy, private school tuition for the couple’s children, and the wining and dining of family and friends, among other purchases. The alleged acts took place between 2009 and 2016, according to the indictment. The two prosecutors assigned to the case attended a fundraiser for Hillary Clinton in 2016.